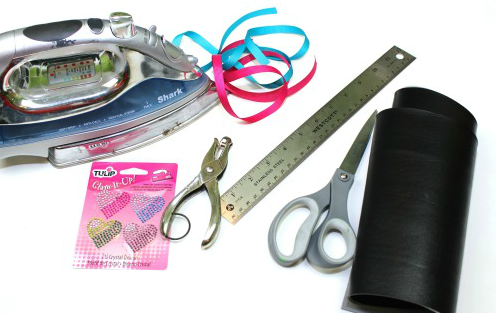 Looking for a quick, fun, and inexpensive project for you and your friends? 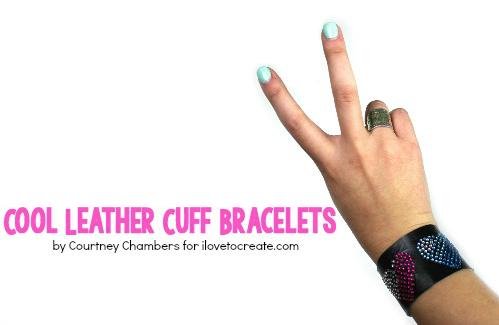 These Leather Cuff Bracelets are awesome! They are super fun to make and double as a fashion piece. If you are anything like me and my friends, you love to coordinate with each other! Get together this weekend and make some matching jewelry! 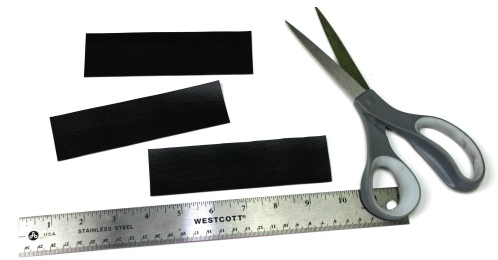 Step 1: Cut the black leather into 2 inch by 5 inch strips. This will be the base of the cuff. Step 2: Punch 2 holes on each end of the cuff with the hole punch. Try to make them evenly spaced. 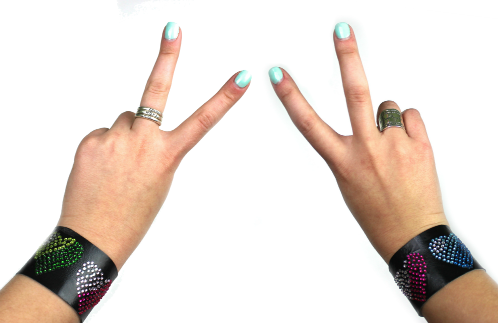 Step 3: Place the Crystal Iron-On Transfers onto the front of the cuff bracelets. I added 3 hearts to mine, but you could go with just or 2. It is totally up to you! 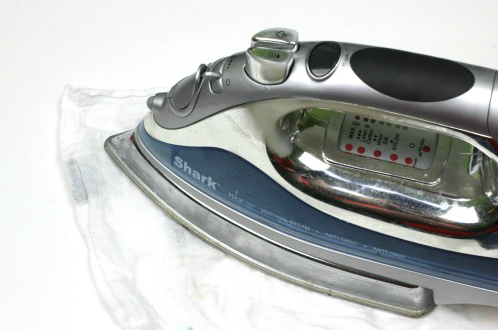 Step 4: Iron. Follow the instructions on the packaging. Make sure to place a tin cloth over your project! 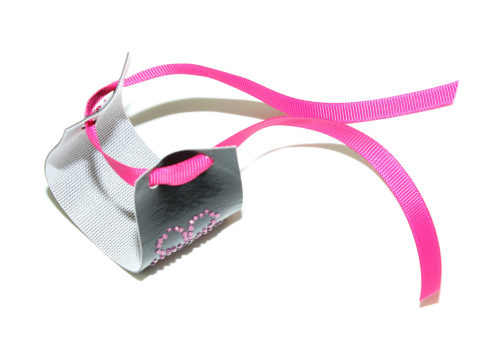 Step 5: Lace the Ribbon through the holes so that you can wear it with a bow! Walah! Isn't it just fabulous? These would be great to make at a birthday party, or just to make and give to all of your friends! It could be the new and improved version of the friendship bracelet! I like it. It is just simply awesome. anybody can wear this bracelet. No age limit for this bracelet. There are many types of color here. You can choose a bracelet as your age and demand. Nice bracelet. You can get exclusive and gorgeous bracelet here. I think you have to agree with me that this bracelet price is very reasonable than others. So choose the best one and take it without any confusion.